Thousands of lawn mowers are bought in the UK every single year. When they are brand new it is great to try them out and make your gardens and lawns look great. The bottom line is though that the huge majority of people cut their grass, empty the basket a few times and then put the mower straight back into the garage or shed. 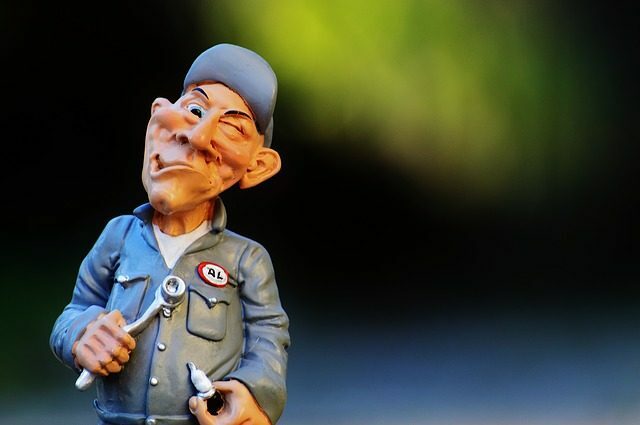 Only a small minority of people take an extra five minutes to do a little basic maintenance. If they did though, they would be amazed about how long this can add to the lifetime of your mower. People can spend quite a lot of money on their new purchase and our advice would be to take just a little more time when finishing up and do some very basic maintenance. The best place to find out what is needed is to have a quick read over the manual. Now sadly most people drop that back into the box and it eventually gets thrown out. It only takes about 10 minutes to glance through a manual, and it is worthwhile keeping this somewhere safe - you just never know when you might need to reference it to get a part for example. With the electric version there is really not a lot to do. In fact there is so little to do that we would recommend doing this each time after you have used your mower. When most people get any new product, there is always a rush to get it working, and into action. That after all is why you bought it in the first place. It is only when something goes wrong, or you need a spare part, that you start to look for the information, that came with the product. It really is worthwhile registering the product, at the manufacturer's website, as soon as possible. It is an easy thing to forget to do. It does however make your life a great deal easier at a later stage, if you need some help. The information will be sitting right there in your mail box. Check this for general wear and tear and make sure there are no cuts or exposed wires. Check particularly the area where the mower cable is bent, as this can be the most susceptible point to breakage. It is also worthwhile just checking the plug and making sure the wire has not pulled away from the plug holder. 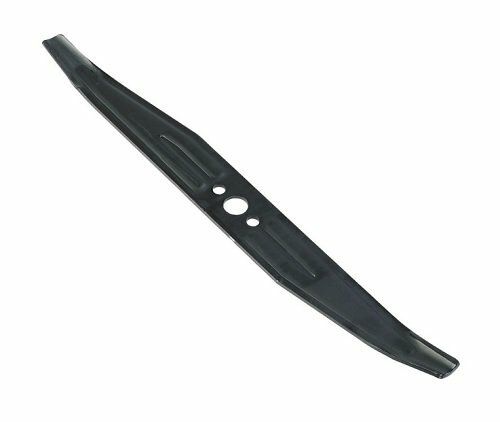 Rotary blades tend to spin grass around the bottom of the mower and this can stick to the sides. If allowed to build up, this can put the blade under a lot of pressure, which in turn makes the motor work harder. Over time that can cause the motor to burn out. By cleaning away any old grass or build up of grass, the rotary blade will be able to turn freely. When you get your new mower the blade will have been well sharpened. Over time though this blade can get a lot of abuse. It will inevitably hit a stone, a clothes peg that has fallen into the garden, or even pieces of old twigs and branches. Even if you manage to avoid all of those, the blade will start to become dull over time and will need to be kept sharp. Usually you can find a professional in your area who has the tools and the knowledge to do this for you. Having this done 1-2 times a year will just make your grass cutting a great deal easier. You can of course learn how to do this yourself. It is though a rather tedious task and you do need to know how to properly sharpen a blade.That will mean having the right wrench to unscrew the blade. Then it will need to be well cleaned with wire wool. Then you will either need to use a file or a grinder to sharpen the blade. The angle of cut is vitally important. There may be times when the blade is beyond sharpening. At that stage, you will need to replace the blade. If you have registered online, that is a great deal easier. Other than that, there is not really much more maintenance required for an electric mower. We would always advise giving it a good clean after each use and drying it off with an old cloth. For all of the above the manual that comes with your mower will be very useful. These should be completed at least 2-3 times a year. They don't take that long and are quite simple to achieve. Again if you don't have the know how or the time, then it would be advisable to contact a professional and get them to do it for you. In many ways it is just like getting a car service done though considerably cheaper. For those of you who like to do it yourself here is a quick guide. Check the air filter 2-3 times a year and make sure it is not clogged up. We would also recommend having this replaced once a year. 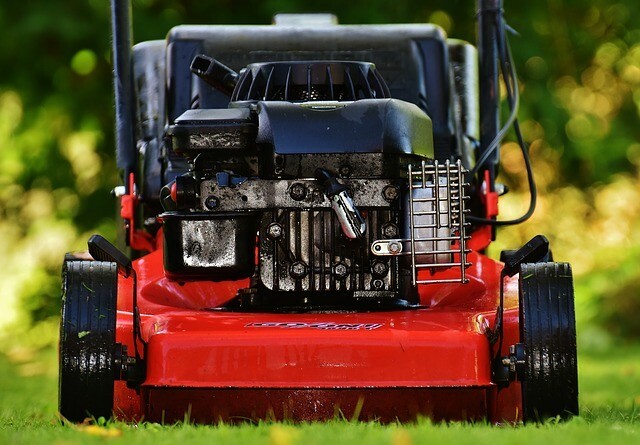 A clean and functioning air filter will make sure that your mower runs efficiently, and that makes it easier on the motor, and ultimately will use less fuel. The air filter is located on the engine and is simple to clean. Simply remove it and tap it gently to help dislodge and debris. Then use a vacuum cleaner to clear it of dirt, or a compressed airline if you have one of those. That will keep it in the best condition until it is time to simply replace it. Like a car engine the oil should be regular checked. The basic check is to make sure that it is topped up to the recommended level. This can be done by checking the dipstick like you would do in your car. After that it comes down to checking the colour. If it has started to darken or turn black, then it is time for a full oil change. Many people keep topping up oil, but once a year we would recommend a full oil change. Always use the oil type recommended by the manufacturer and you will find that in the manual. That is another important reason to keep your manual safe. It is this simple little device that sparks the engine into life. 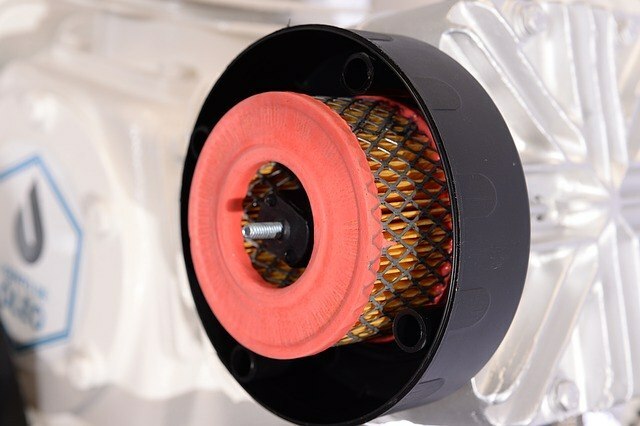 Like the oil and air filter mentioned above, we would recommend changing this once a year. To make sure that your mower starts every time then a little basic maintenance on the spark plug will go a very long way. 2-3 times a year remove the connecting wire, and unscrew the spark plug with a wrench. I use one from a socket set and then check that it is not black. If it is then give it a quick clean with a wire brush. The gap on the plug should remain the same as when it was first put into the engine. This can be checked with a feeler gauge and adjusted if required. Below you will find a video on how to keep your petrol lawnmower tuned up. So there you have it folks, some very basic lawn mower maintenance tips that will keep your mower in great working order and not take up that much of your own time.